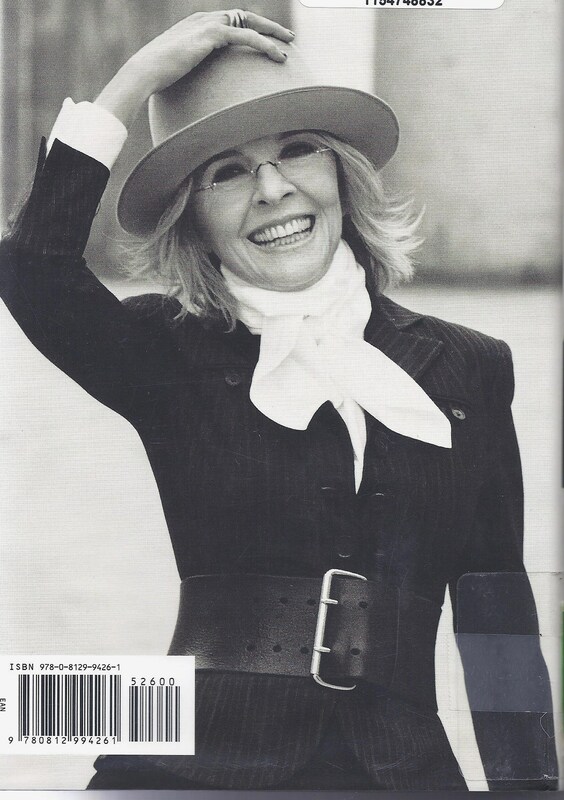 Just prior to reading Diane Keaton’s memoir ‘Then Again’, I penned a self-deprecating post about our connection with hats. I don’t recommend reading ‘Then Again’. While the content – especially her very close attachment to her strong-willed mother – was informative, Diane’s book was poorly written. Chapters did not flow in logical order and paragraphs rambled, making it difficult to follow her chronological life or grasp the fullness of her relationships with family and significant others. Diane, in interviews, appears charmingly scattered while enthusiastically embracing many passions. In movies, she plays roles that maximize her eccentricity and her underpinning grit. In writing, she could have used a counterbalance to her free-wheeling. Thus with some reluctance, I opened her recently published ‘Let’s Just Say It Wasn’t Pretty’. Fortunately this book is essays which, by definition, have more concise structure than a memoir. Diane’s topic – beauty – and her broad application of that word held my interest, provoking musings on how the concept of beauty affects our sense of self. I’m still learning how my ‘writing production’ works best. Right now, that’s filling copious notebooks with whatever is on my mind, and eventually a post writes itself. I have a few mind conversations ‘spinning’ from Diane’s book. Sooner or later they’ll coalesce for me right before they appear for you! I’ve always liked Diane Keaton. She seems to let herself age more gracefully than some actresses. I agree 🙂 Thanks, Carrie! Nicely written, Sammy, and I thank you for the heads up. I have found some celebrity books very difficult to navigate. The other one I was disappointed in was Johnny Carson. The biography was well-written (can’t remember author) but I stopped halfway through because – unbeknownst to me – Johnny was a destructive off-screen sociopath. The number of vicious anecdotes cited by the author made me cringe to think I ever enjoyed watching Johnny. ooh. did not know this. Should I have not told you? (Just in case I have any other gory Hollywood secrets to reveal). No, I’m glad you did! Saves me the time for other books. Love Diane. Not surprised there’s a badly-written celebrity memoir out there, but glad she followed up with something more substantive. Always good to hear from you. Hope all is well. Everyone was in a tizzy last week blaming the moon while I was fine. Now I’m feeling all discombobulated !!! Delayed reaction, I guess. Not a big fan of celebrity books and I’m not a big fan of Diane Keton. Thank you for this review! Good to know, Paula! I do like her movies and have been enjoying a few other memoirs. She just isn’t a skilled writer. Great post, but the par t like the best is: “I’m still learning how my ‘writing production’ works best.” It’s comforting to know that someone writing as well as you do is still working on the process details. Good lord, Dan. You have to pick me up off the floor after that comment. I struggle so hard to get my measly posts out, thinking each time “who the heck wants to read THIS?”. All while watching others write on the most provocative topics or dash off a quick 500 words to a daily prompt. Thank you! That’s like fuel in the tank. I have the draft response to a prompt sitting in my folder where it’s been for three weeks now. I’ve managed to “dash off” an outline, but nothing of substance. Maybe I’ll try and finish it tonight. I have always admired Diane Keaton for her eclectic style. It is nothing I could pull off, but I like her air of confidence. I don’t often read biographies but, when I do, I prefer reading about non-celebrities who have made a greater impact on the world. I’m looking forward to reading your “mind conversations” in future posts! Thanks for stopping by! I appreciate hearing from you. I’m looking forward to seeing what thoughts you spin about beauty and self image! Most I’ve read have been interesting because there really is a person behind the celebrity, and those my age weren’t in the media 24/7. Diane’s collaboration with Woody Allen always intrigued me.and those movies were so good. You have trouble with your writing production?!!! I guess the saying is true then … we really are hardest on ourselves! Great post. I’ve also struggled with some celebrity biographies – self written or not. Bill Clinton’s book made me want to tear my hair out. I was so frustrated trying to follow his rambling self-congratulatory prose, I abandoned the book at less than 100 pages. 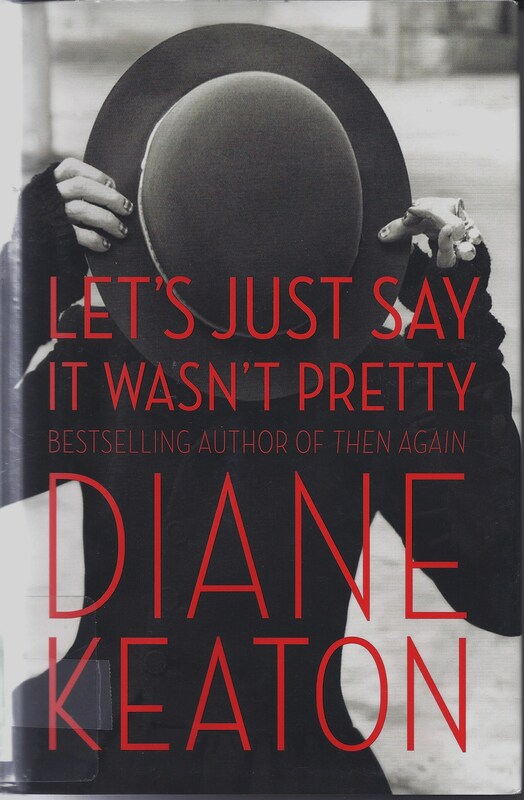 I’m not a Diane Keaton fan so I wouldn’t have been inclined to read her books. She bored me in movies largely because it appeared that she was always playing the same version of herself – whimsical and scattered. It wore thin after a while. Yes, I think we must be hardest on ourselves in many ways. I think part of it is starting something like writing so late in life and fearing my time to study/practice to improve is so limited. Plus trying to stay relevant!! You are right about Diane – acting skills are fairly one-dimensional but there’s something about her particular eccentricity that appeals to me. Perhaps it’s opposites attracting ! Ha ha – how selfish of them. I’d send ya mine but it’s the library’s! Ooh looking forward to those other conversations. That concept of beauty sounds really interesting. I don’t know Diane Keaton’s work that well but what I do know I like a lot. And I like that she’s aged without the pillow face/ botox frozen process that so many actresses go through. I didn’t know she’d written one book, let alone 2. I always liked, she has that infectious grin that help with the slightly ditzy roles she’s played. I agree about Johnny Carson, I regretted seeing the TV documentary about him. The writing process: hm, uh, ah…. do I have a process? I’m always intimidated by people with processes. I just seem to not be able to focus on a method that works, so many ideas whiz through and I still haven’t found a way to capture them for later work. I’ve tried spreadsheets, notebooks, idea association techniques, but I still remain highly disorganized. You sound like a normal writer 🙂 that’s probably an oxymoron – rarely do writers feel normal, eh? Thanks for visiting and adding to the conversation! I like this book review. You are honest. So many ‘reviews’ on Internet sites are gushingly positive because someone is trying to help someone else sell something. Keaton, for all her charm, is a person who’s all over the place, at least an actor usually unable to complete a spoken sentence – however cute – but not a quality apt to translate well to the written word in a memoir. I haven’t read it, but take your word for what you mentioned. I’ll just stick to enjoying her quirky, eclectic and endearing characters on film. Thanks for commenting. I truly enjoy her movies and her quirky personality. I just wish she’d used an editor because she had worthwhile insights; just not expressed well.